Being a part of the community and giving back is a core desire of our distributors at Dinner4Two. We want to be a force for good in our communities. Helping in a way that makes sense and following a pattern of generously giving that can in a small way make an impact that will benefit others. Each day we do 100’s of culinary demonstrations to show how important it is to cook, eat healthy and spend time around the kitchen table creating memories. We believe cooking is an act of love and sharing that love makes life delicious. We are proud to support two very different organizations. Feed the Children and the Wounded Warrior Amputee Softball Team. Each year we have raised through the sale of our Kitchen Charm cookware products $1000’s of dollars to benefit Feed The Children. In 2015 we were able to donate over $20,000 to Feed The Children. 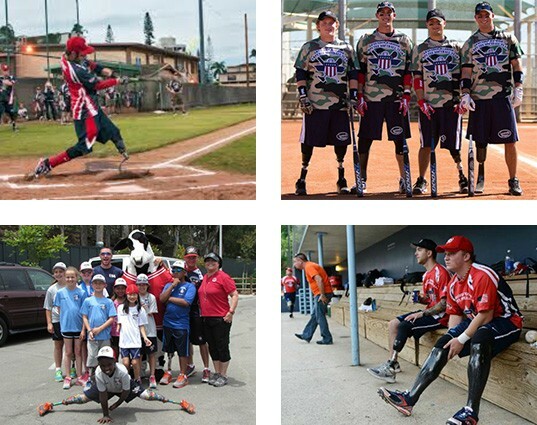 We’re also very proud and honored to be a sponsor of the Wounded Warrior Amputee Softball Team. These guys are athletes and examples of courage and health. They embody the ability to overcome intense obstacles and adversity to be looked up to even though each of them has come to accept life and sports with an artificial limb(s). We love we have the opportunity to support each member of the team by providing them with a complete set of the kitchen Charm cookware and each year we are able to add to their home kitchen with additional products.